SNAFU! : Canada's Resolve-Class Naval Support Ship, Asterix completed....via Naval News Instagram..
Canada's Resolve-Class Naval Support Ship, Asterix completed....via Naval News Instagram..
Davie Shipbuilding announced December 26th it has completed the construction, commissioning and sea-trials of the first Resolve-Class Naval Support Ship, Asterix. The ship was delivered on time, to budget and most importantly, at an internationally competitive cost. 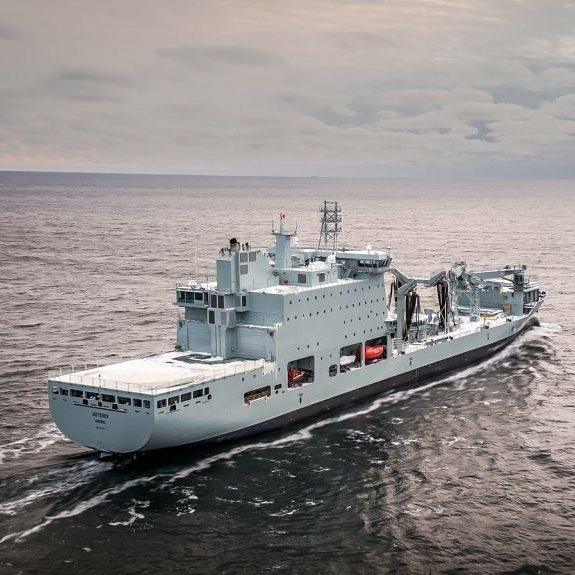 The ship departed Quebec City 23 December 2017 en-route to Canadian Forces Base Halifax where she will enter service with the Royal Canadian Navy and be operated by Federal Fleet Services Inc.